The escape of Charles II is one of the best, most thrilling great escape stories of all time. It is all the more extraordinary because Charles was a very tall man (about 6 foot at a time when most men only reached 5’10) and so should have been easy to spot and recognize. Instead, thanks to the help of loyal supporters, who would have been declared traitors and condemned to death if caught, he managed to escape Cromwell’s forces and reach the continent. But let’s start from the beginning, shall we? 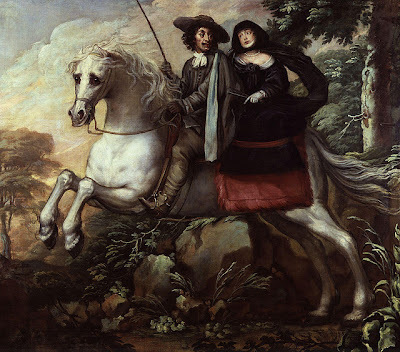 After he lost, on 3rd September 1651, the battle of Worchester, in which he had tried to recapture his dead father’s throne, Charles II was a wanted man. With the parliamentary forces hot on their heels, Charles and a few of his loyal gentlemen, including Lauderdale, Backingham and the Earl of Derby, managed to narrowly escape through the northern gate of Worcester. They were heading north but didn’t know precisely where to go. The party thought the King had a better chance to escape if he travelled almost alone and so, somewhere along the road, most of his men took a different direction. Among these men was the Duke of Derby, who would be captured by Parliamentarian forces and beheaded. The King kept marching north without a precise destination until someone suggested to go to Whiteladies, a sympathetic Catholic house where they would be safe, at least for a little while. Charles arrived there at dawn. He was given some bread and cheese, which he really must have needed after such a long day and night. Then, he got rid of his well-recognizable clothes and put on a green jerkin, grey cloth breeches, leather doublet and greasy soft hat. He was now dressed “a la mode the woodman”. Next, his hair was cut off, the embroidered tops removed from his socks, his hands and face stained with walnut juice. He had to change his shoes too but the ones they managed to provide him with didn’t fit him properly and hurt his feet. He also had to abandon his Order of St. George, while the gold he carried with him was given to the servants. Considering the generous reward that hang on his head, the King didn’t want to take any chances. Charles had now to decide where to go from there. He ruled out Scotland because he was afraid that its people, quick to follow him when successful, would have been as quick to desert him now he had lost. He thus decided to head to Wales. So, the King, accompanied only by Richard Penderel, surreptitiously left Whiteladies by the back door, shortly before a group of Parliamentarian solders arrived to search the house, and took refuge in a nearby wood called Spring Coppice, where he hid all day, hungry and thirsty. The pair also saw some troops who were searching for them but luckily they weren’t seen, probably because of the heavy rain that was pouring down. They proceeded to the Severn, but, after spending the night in a barn, they discovered that the river crossings were well guarded and so they had no choice but to return to the Boscobel area. 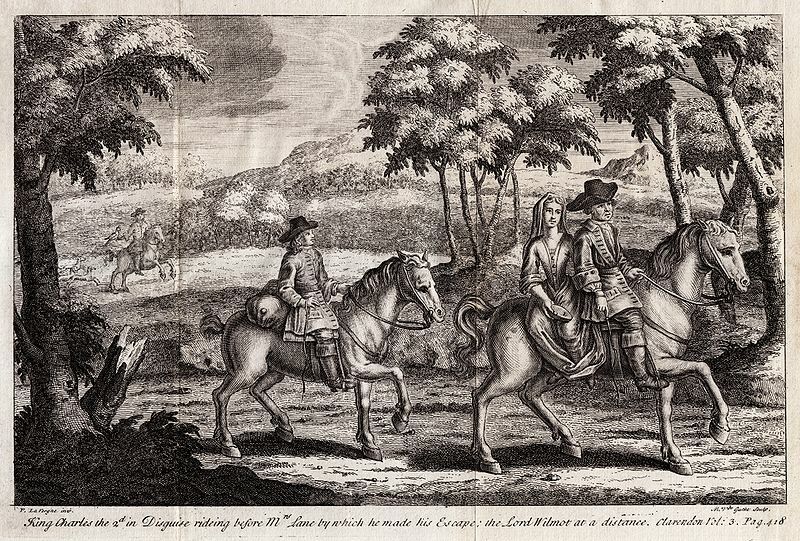 Here, Charles, together with Major Carlis, a Royalist soldier, hid on an oak tree for an entire day, watching the Parliamentarian soldiers scouring the woods in search of them. Only in the evening, they decided to leave their refuge and go inside the house. After dinner, which he helped to cook, he spent the night in a small priest’s hiding place at the top of the house. But it wasn’t safe for him to stay too long in one place and so he left again, this time for Moseley Old Hall. Here he was fed and given dry, greasy clothes. Here, he also slept in a bed for the first time since his flight began. His room also had its own hiding-place nearby and was usually used by Father John Huddleston, a monk of the Order of St. Benedict, who would, years later, be present at the King’s conversion to Catholicism on his death bed. From there, the King then left for Bentley Hall, the home of a Colonel Lane. The Colonel had a daughter, Jane Lane, who was planning to visit her sister, who was about to give birth, at Abbot’s Leigh, near Bristol. It was thus decided that Charles would travel with her disguised as her servant. 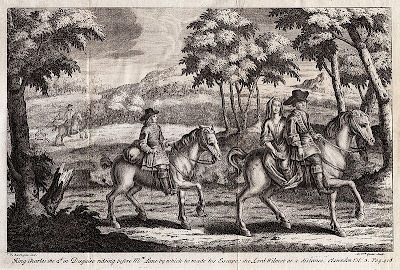 He so became William Jackson, but this disguise wasn’t altogether convincing as Charles had no idea how to ride on a double horse or doff his hat with the proper subservience, all things a servant should have been able to do. But the little party, which also included Lord Wilmont who carried a hawk on his wrist as a disguise, set off. They reached Abbot’s Leigh on 12th September. Here he was forced to stay confined in his room, pretending he was recovering from a fever, after discovering that a member of the household had served in his regiment and could thus have been able to recognize him. The Welsh ports were watched by the government and being thus unable to find a boat at Bristol, the party decide to proceed their journey to the South. Jane Lane went with them as she was still needed to provide a convincing cover story. Dorset would have been the next best point of escape, but the group had to bypass it as the place was crawling with soldiers. They then went to Trent, near Sherborne and spent a few days at Trent Manor, the home of Colonel Francis Wyndham, another Royalist officer. 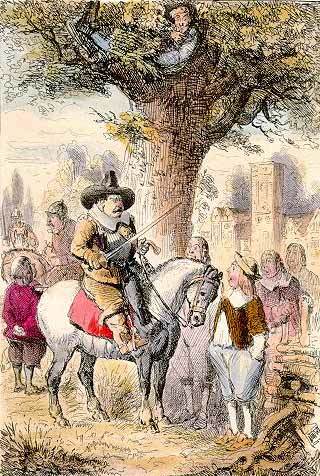 Here he witnessed a bizarre event: the people were celebrating his death, believing he had been killed at Worcester. While the King remained hidden, Wyndham and Wilmot were sent to find a boat leaving from Lyme (Regis was added later as a reward for its loyalty). After saying goodbye to Jane, Charles left for the nearby village of Charmouth were a boat was waiting for him to bring him to safety in France. But the ship never arrived. The skipper had been locked in his bedroom by his outraged wife, who suspected he was up to something dodgy with his nocturnal plan! The party was left once again wondering where to go and to make matters worse, they were now in a part of the country were the King was well-known and he risked being discovered at every turn. They thus decided to go back to Trent Manor. On their way there, the party stopped at an inn in Broadwinsor, where about 40 soldiers decided to spend the night as well. Luckily for the King, one of the women travelling with the soldiers went into labour, and in the confusion that followed, no one paid attention to Charles, who was able to escape undetected. The next day he arrived back at Trent Manor, where he remained for a couple of weeks, while his supporters looked for a boat. On 6th October, the King, together with Juliana Coningsby and Henry Peters, Colonel Wyndham’s servant, left for Heale House, near Amesbury. It was the home of a Royalist lady named Mrs Amphillis Hyde. While there, he also spent a good day at Stonehenge. After spending a few days at Heale House, he left for Sussex, where a boat had been arranged for his escape, at the price of sixty pieces of silver. The cover story was that the boat was to carry a party of illegal duelists. The King spent his last night in England in the little village of Bramber and then reached Shoreham harbor at the appointed time. On Wednesday, 15 October, at 4am, King Charles II finally departed from England on board of The Surprise. Just two hours later, the soldiers would come and search the port for him. But The King was well away by this time. On 16th October, he would lend in France, where he would spend the next nine years in exile.